My cute little Winter Wonderland Sampler is completed! I love this pattern and had a lot of fun making this. The biggest mistake I made was to not pay closer attention to the recommended fabric for this project. I think I just saw the words "18 count" and "linen" and grabbed the first thing I saw at Michael's. I really should've paid more attention to the fact that white would not show up terribly well on this fabric- which resulted in my changing some colors and needing to do some outline stitches. But it's okay- I love how it came out and plan to do this again as an advent calendar like this one. I think my favorite motif is the little abominable snowman. I can't help but think of Monsters Inc. - a movie played so often in our house that the DVD is starting to skip/freeze. Snowcone anyone? I also love the little apple cider (#15). It's funny - I came across a blog post of a girl who likes these Frosted Pumpkin Stitchery cross-stitch patterns - but she refuses to put faces on things that don't have faces in real life. I think that's the charm and the best part about them! I am planning to make this sampler into a pillow - I am just waiting for a yard of Christmas fabric I ordered to arrive in the mail. I don't even want to think about winter and Christmas right now - but at least I will have a decoration/gift ready in time! These are the small gifts I made for Rebecca, Alice, and Aimee. They are called Strap Clutches and the pattern is available on michellepatterns.com. I can't recommend that pattern line enough - the patterns are written so thoroughly and the author anticipates questions/concerns you might have as you go along. Additionally, she provides great finishing details that help you have a very polished project in the end. When she had all of her patterns on sale for $5 recently - I wanted to buy all of them! This pouch was made for Alice - a lover of all things pink and green. This one was made for Rebecca- she loves Joel Dewberry but he doesn't have any gray fabrics (that I know of). So I went with another favorite of hers: gray. Finally, this was made for Aimee. It may be obvious that I made a bit of a mistake in orienting the velcro strap. I realized this after I had taken the whole thing apart and sewn it back together due to another issue. I agonzied about whether to do it all over again but I worried that even more seam ripping would stress the fabric too much and I honestly thought having the end of the strap concealed was a nice look. In this picture, you can see the lining fabrics that I chose. Making the strap rectangle openings was intimidating for me - but it really wasn't that difficult. It felt good to do this project during a crazy week last week when I couldn't quite pull myself away from the news (I like to be informed but sometimes it's too much!). I know I wasn't the only guild member who sewed like a maniac last week - it can be such a great stress reliever. What a week! Today's gorgeous Sunday weather really feels at odds to the emotional turmoil I think we've all been feeling here in the Boston area lately. Meeting with guild friends on Saturday was a much needed respite, I think, for all of us. We discussed ways to assist the healing/charitable efforts emerging in response to the tragedy and I think some good ideas are in the works. As I become aware of more details and ways that my blog readers could contribute, I will definitely share. Folks in Vancouver have already contacted our guild about helping to participate in a campaign called, "To Boston with Love," full details here. At the meeting, I wrapped up the WIP/Precious challenge we had begun in October. In sum, guild members were encouraged to finish up any WIP's (works in progress) and cut into their "Precious" (special/hoarded) fabrics that they were saving for "too long." Overall, I tried to keep the challenge fun and non-competitive. For every project that a guild member completed, they received one entry into a little raffle for fabric gift certificates. Overall, we had 39 entries- guild participation was definitely impressive. This meeting also marked the end of my term as BMQG president. I have been involved in guild leadership since the guild's beginnings in February 2010 - soon after the first meeting, I became vice president and when the president moved to Michigan for law school (how dare she!) in August 2011, I became the president. I figured after more than 3 years it was definitely time to step down and it's important for other people to bring new ideas to the table and get a chance to lead. I originally volunteered to help out with leadership because I felt that it would be the best way to get to know people in the guild- as my introverted tendencies sometimes prevent me from getting to know others. 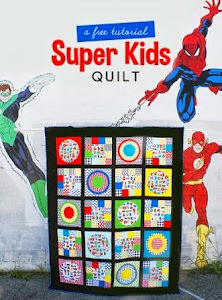 Of course, I am passionate about modern quilting and am proud of the way that the organization has improved and grown - but at the end of the day, for me, it's about connecting to great people who share a common interest and can enable me and enable encourage laugh about my crazy fabric hoarding tendencies. But seriously, I really do recommend getting involved in guild board opportunities because you really get to know people and it's fun to help out the group. Of course it does require significant time and commitment and there really isn't a manual or "how to" resource on how to run a guild.... I know I made mistakes and sometimes it was overwhelming to be the president as I had had a baby last year, but everyone really pitched in and I think we had a great year - we participated in our own show at Lowell Quilt Festival, hosted a visit from Angela Walters, had some fun challenges, got to participate in the Michael Miller Madrona Road challenge, had our third annual retreat last month, etc. So - the ladies in the guild surprised me with two loaded bags of loot and presents to thank me for my work with the group. It completely surprised and overwhelmeed me. I mean, they threw me the most AMAZING baby shower last year and I still feel emotional when I think about their thoughtfulness. It felt like Christmas when I was going through everything after I got home from the meeting (I felt too embarrassed to go through it in front of everyone but a few friends begged me to at least blog it). So here's a picture of the handmade items- so many cute things. Not everyone left a note or a card- but thanks to those who made these sweet items! People really thought I don't have enough fabric - so they loaded me up with scraps, fat quarters, mini charm packs, and loads of patterns and other supplies. I know someone was reading my blog because they included some great black and white pieces (can't wait to make that Bijou Lovely X quilt!). It was funny to see the Amy Butler and Erin McMorris (far right)- as they had been in virtual shopping carts earlier in the week but I had exercised some self control. I made some modest gifts for my fellow board members and will blog those tomorrow. Thanks for reading this long post if you've gotten this far! On a total whim, I went by myself to the Machine Quilting Expo in Manchester, NH last Saturday. For the past few years, this show has been held in Providence, RI and I attended it once with a few guild friends. We all agreed that it wasn't worth such a long drive - it was a relatively small show and it felt like all the quilts were showcasing computerized quilting via longarms - a design choice we just couldn't relate to at all. Additionally, all the vendors were really geared towards longarm quilting and the few that sold fabric had NO modern fabrics whatsoever. I am sure this quilt received a ribbon for the amazing machine quilting but what really struck me was the design and I love the colors. 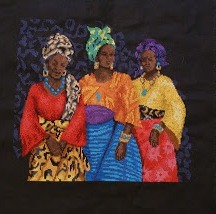 I loved the use of charcoal gray as the background for bright colors. 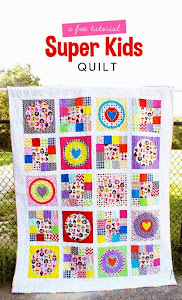 The quilting is jaw-dropping, no? and of course I had to take a picture of one of my favorite pieces done by the amazing free-motion quilting extraordinaire: Angela Walters! The bottom half of this picture is what I bought at the show from SewFresh Fabrics and a quilt store called Cottonweeds. I snuck the other stack of fabric into the picture- it's a recent order from Pink Castle fabrics. I just thought it was funny to show how obvious my taste in fabric is: obviously, I LOVE monochromatic prints! The pattern is a portable sewing organizer/tote that I want to make ASAP as a long-overdue present for my sister's birthday (in March... oops!). For all my local quilty friends - save a date for August 15-18 for the World Quilt Show, also in Manchester, NH. It is easily my most favorite quilt show of the year. I had a bunch of posts ready to put together this week about various WIPs, the MQX show, and stacks of pretty fabric. But it seems a bit too frivolous now- my previous post was written and published maybe 2 hours before the news of the bombing was announced. The problems of having a fussy toddler seem pretty trivial when you think of what happened. I have lived in New Hampshire (grew up there) and Massachusetts (5+ years and counting)- I love New England. I have lived and studied abroad, working with and witnessing a whole lot of human suffering in my social work education and career. But there is something very unsettling about such acts of violence occurring only 45 minutes away amidst innocent people out to enjoy a normal and fun day in the city. My sewing productivity has significantly increased during these past few days - it's one of my best coping skills. I am trying to hold my kids a little closer, to be a little more patient, and be more grateful. 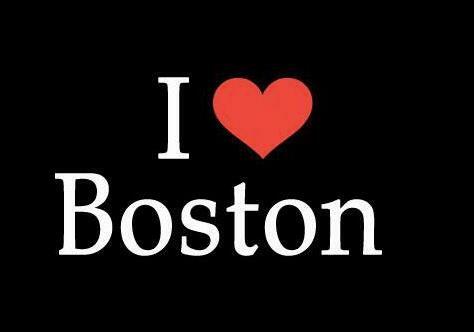 My thoughts and prayers are with all those effected. I will blog again with more sewing posts soon. Life will go on and our city will come through this all the more stronger. I hope everyone had a great weekend! I managed to complete Charlotte's "Baby in the Hood" jacket just in time for lots of outdoor playing. Thanks to those who chimed in with opinions on the lining/accent fabric options - I am so happy with how it came out. Charlotte doesn't look too happy in most of these pictures - but I am pretty sure that is due to being cranky and has nothing to do with the coat. Here she is rocking the 80's faux wood paneling of her cozy-coop car. I have to say that I really loved making this coat- I tend to struggle with clothing patterns but this one was a breeze. I am really glad that I went with a curdoroy print (whales) because I think it's a great texture and makes it look less homemade than maybe regular quilting cotton. I made the 3T size and Charlotte is only about 13 months. In my experience, AMH patterns run a little small on my kids and I wanted this jacket to last a while. It is a little big on my daughter but it's not too bad. All this fussing helped me make my decision to escape to MQX (New England Machine Quilting Expo) in Manchester, NH on Saturday - I will tell you more about that in my next post. Right after my Chelmsford presentation - my family got hit with a few sicknesses and it's made me loose a lot of motivation to do much sewing. It's funny- but I think I push myself too hard sometimes- so when I have a "valid" excuse to read a book or actually watch a movie (instead of just 'listening' to it while I am sewing)- I relish the experience. For now, I don't have any real deadlines and with the warmer weather finally here - I think I am going to try to slow down a little and not pressure myself to complete so much. I don't want to wait too long to make Charlotte a spring jacket. I bought the whale fabric in the curduroy (top center) and I would appreciate opinions on the accent and lining fabrics. I have to choose two because I don't have enough of any of them to only use one. I want to make the hooded jacket from AMH's Handmade Beginnings book - example here. I completed my undergraduate in at BYU in Utah and rarely see friends from that time on the East coast. A redeeming quality of facebook recently manifested itself when I got to reunite with an old friend from my "Study Abroad" semester in Romania that I participated in a full decade ago. Linda now lives in NYC but was in town for business only an exit away from my house! Our family had her over for dinner and she showed off her recent creation of this adorable quilt top. She needed help in knowing how to put a quilt together and the best I could do (besides verbally explaining things) was point her to Elizabeth Hartman's blog. Linda told me that when she turned 30, she made a list of thirty things she'd like to do in her thirties, and learning how to quilt is one of them. What an awesome idea to make such a list and I think it's great that she's already accomplishing one of her goals! It's pretty cool that we have this connection so many years later as well. There was much more on our minds when we had a pretty crazy and tumultuous four months in Romania! It was probably the best experience of my life where I truly forgot about myself and served others - but it was also heartbreaking to witness so much suffering and feel like my work wasn't much more than a "band-aid" solution.